Just as expected, Google has bundled the Pixel USB-C earbuds (not a second-gen wireless Pixel Buds) with its shiny-new Pixel 3 phones. They are priced at $30 and are now available via the Google Store. 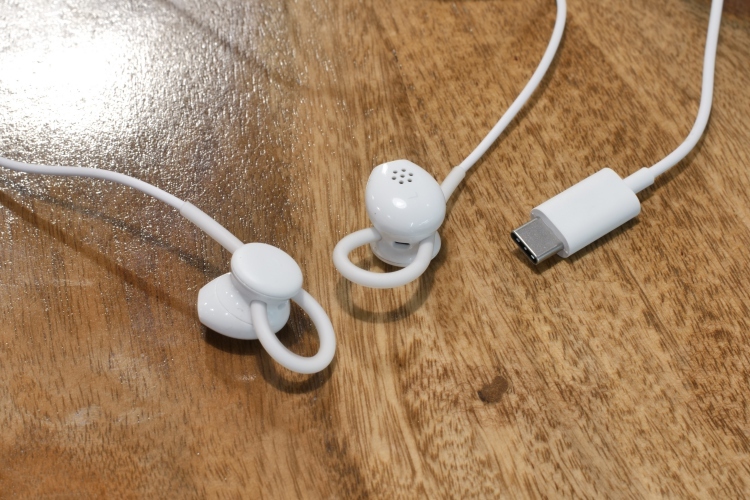 Part of the standard retail package, the Pixel USB-C earbuds are clearly in a post-headphone jack era, and are said to support 24-bit digital audio. In the brief time I spent listening to music and using them, I found the Pixel USB-C earbuds fits reasonably well, are comfortable and produce sound with good clarity. We can’t speak in detail about the sound quality yet, but the Pixel earbuds also integrates Google Assistant into the mix, with an in-line button. You need to hold down the black button, say your command, and then leave it for the Assistant to come back with a reply. You don’t need to unlock the phone to use Assistant, which is a killer feature indeed. But we found three more that are quite amazing too. The Pixel USB-C earbuds can help you stay up-to-date all your messages, calendar events, emails, and other important info through the day by reading out your notifications. You simply need to hold the ‘volume up’ button on the remote for the Assistant to read out all the recent updates. It even lets you to reply to incoming texts. This one was a pleasant surprise. The Pixel USB-C earbuds seem to play nice with devices which are part of the Android One program – well, at least, some of them. When I plugged the Pixel USB-C earbuds into my Nokia 7 Plus, the Google Assistant setup process kicked-off and I was able to talk to the Assistant via the black button. However, I didn’t notice the same when I plugged them into the Nokia 6.1 Plus (that runs Android 8.1 Oreo) so it could be that it works only with Android Pie. 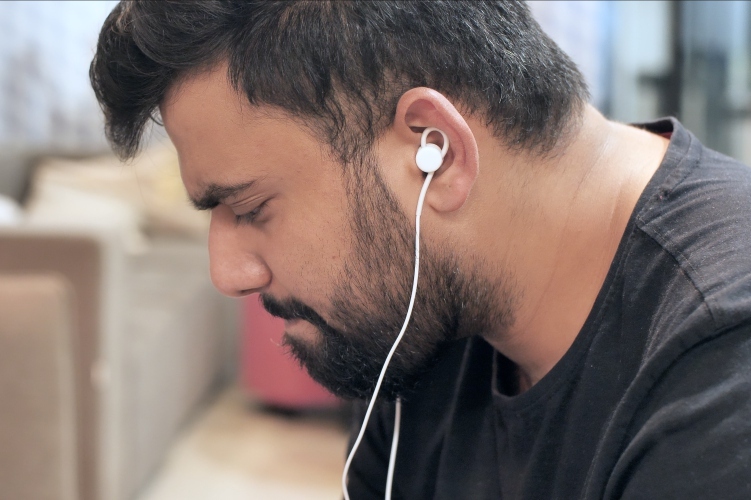 We also tested these earbuds with the OnePlus 6 (with Android Pie) and Poco F1 as well, but in vain. Finally, the Pixel USB-C earbuds will help you with real-time translations but you need to have the Google Translate app installed on your device. You can then simply hold the black button and say “Help me speak French” for the Assistant to bring up the Translate app and help you with translating phrases or sentences to French. We are currently testing this feature and will let you know more about how it works in our in-depth review. Google may not have launched the second-gen Pixel Buds today, but Pixel USB-C earbuds are shaping up to be good – plus it’s always good to get earphones when you buy a new phone. At a price of $30 (approx. Rs. 2,249), it may seem like an outstanding option, but we’ll let you know more about that after we test them thoroughly.